Bangkok (Thailand) – May 19, 2017 (travelindex) – Comfortable accommodations in the heart of Bangkok have never been easier or more affordable. JW Marriott Bangkok is offering guests an opportunity to indulge in the ultimate luxury experience among the famed Sukhumvit Road, for a limited time only, book your stays at JW Marriott Hotel Bangkok from 19 to 25 May 2017 and enjoy great rates starting from THB 3,999++ plus complimentary Wifi. Recharge your batteries and feel truly indulged as you enjoy the culinary experience from the 9 venues or get into shape with an array of wellness activities on offer. From breakfast at Marriott Café, lunch at Man Ho or dinner at New York Steak House and the late afternoon healthy snacks and juices at Juice Bar, the award winning restaurants are so much more than just places to eat. – Access to Executive Lounge with Executive benefits when book and stay in Executive room or JW One Bedroom Suite. 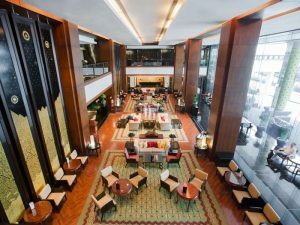 Subscribe for our newest promotions on www.jwmarriottbangkok.com. For amazing offers and giveaways, follow us on www.facebook.com/JWMarriottBKK. – Rate is subject to availability.